With over a dozen instructors, our Little Dragons preschool karate classes and Kids Karate classes focus on discipline, respect, and confidence, while teaching self-defense strategies they will have for life. Each class has between 2-3 instructors who are personally trained and certified martial arts instructors by Master Rick Jeffcoat through the Internship program. 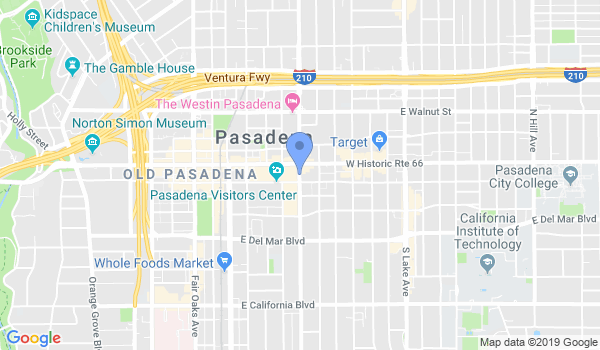 In the martial arts business for 19 years, and situated in Pasadena's famous Playhouse District, American Kenpo Karate is centrally located, just minutes from Old Town Pasadena and freeway exits. There is plenty of free parking available and we are steps away from public transportation. The studio is equipped with heavy bags, the best training equipment, and easy-to-clean Swain non-slip tatami mats. His & hers changing rooms with showers offer students the convenience of being able to work out before or after work. For your comfort, we provide heating, air conditioning and Free Wi-Fi! Sunday Closed Rest up now for next week! Would you like more information on hours, classes and programs available at American Kenpo Karate? Please contact the school with your questions. Update the details, Write a Review or Report Error of American Kenpo Karate. View all Dojo in Pasadena or in Zip code 91101.